Food Costs > How Much Does an Eggplant Cost? How Much Does an Eggplant Cost? An eggplant is smooth and the numerous seeds found inside are edible, along with the rest of the vegetable. The skin of the eggplant is also edible, which makes peeling unnecessary. The eggplant has several varieties which can be found in different parts of the world, and studies have shown the eggplant is effective in treating high cholesterol. There are several varieties of the eggplant available on the market, and the price of each variety differs depending on the size and the number purchased; however, most should be within a few dollars per pound. Eggplants are usually sold per pound, and the price can range anywhere from $1 to $4 per pound. This price greatly depends on the time of year, if it’s organic or not, the variety and if any promotions are being held at the store. If there was a shortage, for instance, the price could be higher, but regardless of the time of year, the costs should almost always be less than $4 per pound 99 percent of the time. 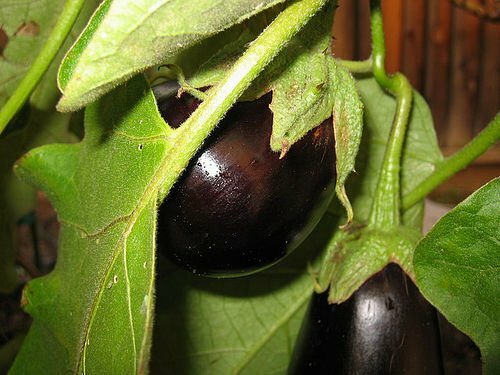 According to some members on Gardenweb.com, they said they could found a tender Asian eggplant for about $2.50 per pound, and most agreed you shouldn’t spend more than $3 per pound for an eggplant, regardless of the quality or type. On another forum thread on ChowHound, a forum member said she found eggplant for as high as $3.50 per pound when she was used to paying $1.50. Others chimed in and said they had paid anywhere from $1.50 for an Italian eggplant to close to $3.99 for a Japanese eggplant. At HEB, a popular grocery store chain, their website lists the prices for $1.25 to $4 per pound, depending on the variety. The fresh purple variety, for instance, retails for close to $1.25 per pound, while the fresh white retails for $4 each, regardless of the weight. The most expensive option — the fresh baby eggplant — retails for $4 per pound. Walmart and other grocery store chains, according to our research, were in the same range. Eggplants are a great source of folate, potassium, fiber, manganese, vitamins C, B6 and K, magnesium, niacin and pantothenic acid. Three ounces of eggplants, on average, will have about 24 calories, two milligrams of sodium, two grams of sugar and 31 percent calcium. When choosing an eggplant inside the grocery store, look for an eggplant that isn’t too large and make sure the body is firm. According to Mercola, the size should have the length of a cucumber and the circumference of a larger pear. If you were to purchase an eggplant that’s too small, it could take too bitter, often ruining the recipe you put it in. Studies have shown some great health benefits from the ingredients provided above. Sometimes, aside from eating raw or baked, the roots and/or leaves will be boiled to help inflammation, foot pain, coughs and toothaches. The Black Magic variety, according to scientists, have been shown to have three times the amount of antioxidants phenolics when compared to other types. This is known to prevent cancer, heart disease and even make the eggplant taste better. If you need more than 10 eggplants, consider buying bulk from a local farmer instead of going to the grocery store. Here, you may be able to find farmers who may be willing to sell you eggplants by the case of 48. Farmers’ markets are often cheaper and fresher than the local grocery store chains. If you don’t know where a farmers’ market is, Yelp, Facebook and a simple Google search can often yield some decent results. My local farmer’s market had it for $4 per pound.